Bing recently announced it is using IE11’s pre-render tag to enhance the user experience on Bing.com. Pre-rendering enables Bing to automatically download the webpage for the first search result before you visit that page. Note, this only happens for “popular searches”, and I’ll cover more about that below. Pre-rendering via Bing means the destination page will load almost instantaneously when you click through the first search result. Bing explained that over half of users click the first result, and using IE11’s pre-render tag can enhance the user experience by loading the destination page in the background, after the search is conducted. 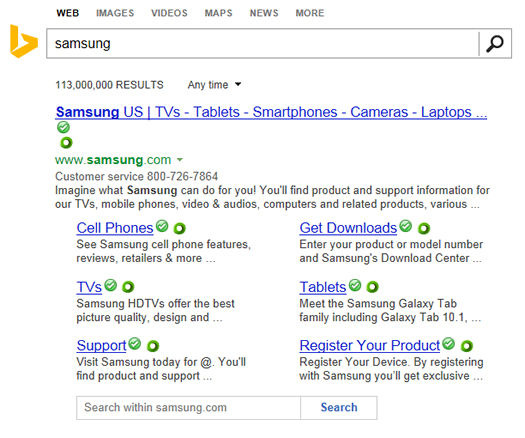 If I search Bing for “Samsung” in IE11, the first result is the U.S. Samsung website. When clicking through to the website, the first page loads immediately without any delay (including all webpage assets, like images, scripts, etc.) Checking the Bing search results page reveals that Bing was using pre-render for the Samsung website homepage. You can see this via the source code. See the screenshots below. In case you were wondering, Google has been accomplishing this with “Instant Pages” in Chrome since 2011, but it’s good to see Bing roll out pre-rendering as well. My guess is you’ve experienced the power of pre-rendering without even realizing it. When Bing and Google have high confidence that a user will click the first search result, they will use the pre-render tag to load the first result page in the background. Then upon clicking through, the page instantaneously displays. That means no waiting for large photos or graphics to load, scripts, etc. The page is just there. Once Bing rolled out pre-render via IE11, I began to test it across my systems. When it kicked in, the results were impressive. The first result page loaded as soon as I clicked through. I was off and running on the page immediately. 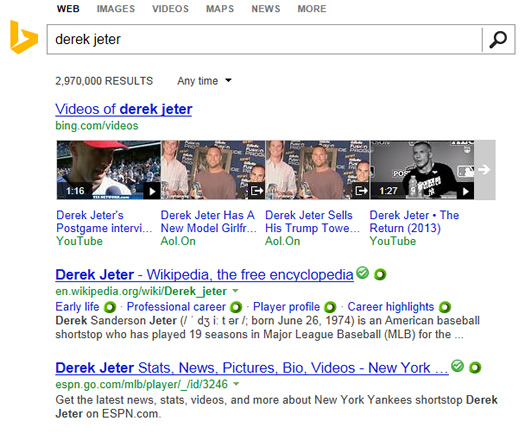 But when did Bing actually pre-render the page and why did some search results not spark Bing to pre-render content? Good questions, and I dug into the search results to find some answers. During my testing, I began to notice a trend. Pre-rendering was only happening when sitelinks were provided for a given search result. So, if I searched for “apple ipad”, which Bing does not provide sitelinks for, then pre-rendering was not enabled. But if I searched for just “Apple”, and Bing did provide sitelinks, then pre-render was enabled. 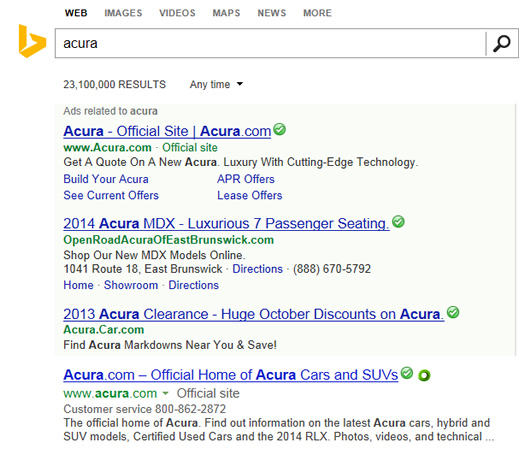 If I searched for “Acura”, sitelinks were provided for the branded search, and the first result was pre-rendered. So, Bing clearly needed high confidence that I would click through the first listing in order to use pre-render. In addition, there was a high correlation between sitelinks and the use of the pre-render tag. For example, “how to change oil” did not yield pre-rendering, “Derek Jeter” did not trigger pre-rendering, and “weather” did not trigger pre-rendering. But “Firefox” did trigger sitelinks and the use of pre-render. You need an eagle eye like me to know. Just kidding. 🙂 I simply viewed the source code of the search result page to see if the pre-render tag was present. When it was, you could clearly see the “url0=” parameter and the value (which was the webpage that was being pre-rendered). You can see this in the screenshots listed above. And for Chrome, you could check task manager and see if a page is being pre-rendered. It’s easy to do and will show you if the page is being pre-rendered and the file size. Yes, you read that correctly. You can use pre-render on your own website to pre-load pages when you have high confidence that a user will navigate to that page. I’m wondering how many Conversion Rate Optimization (CRO) professionals have tried that out! Talk about speeding up the user experience for prospective customers. Imagine pre-loading the top product page for a category, the first page of your checkout process, the lead generation form, etc. Pre-rendering content is supported by Chrome, IE11, and Firefox, so you can actually test this out today. I’ve run some tests on my own and the pre-rendered pages load in a flash. But note, Chrome and IE11 support prerender, while Firefox supports prefetch. That’s important to know if you’re a developer or designer. Also, I believe you can combine prerender and prefetch in one link tag to support all three browsers, but I need to test it out in order to confirm the combination works. Regardless, I recommend testing out pre-rendering on your own site and pages to see how it works. 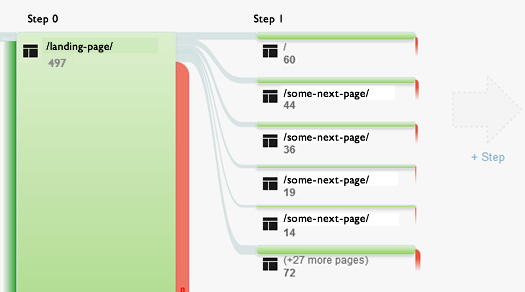 You can analyze visitor paths and determine pages that overwhelmingly lead to other pages. And when you have high confidence that a first page will lead to a second page, then implement the pre-render tag. Heck, split test this approach! 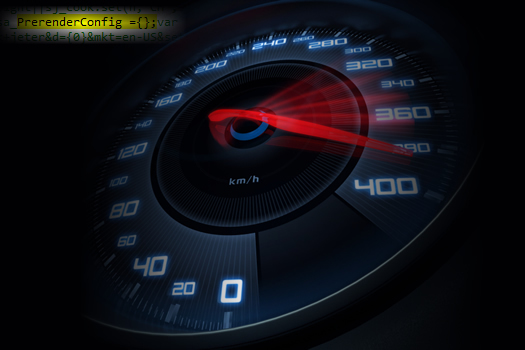 Then determine if there was any lift in conversion based on using pre-render to speed up the conversion process. Let’s say you had a killer landing page that leads to several other pages containing supporting content. One of those pages includes a number of testimonials from customers, and you notice that a high percentage of users click through to that page from the initial landing page. Based on what I explained earlier, you want to quicken the load time for that second page by using pre-render. Your hope is that getting users to that page as quickly as possible can help break down a barrier to conversion, and hopefully lead to more sales. Note, that will work in Chrome and IE11. If you combine prerender with prefetch, then I believe that will work across Chrome, IE11, and Firefox. When users visit the landing page, the second page will load in the background. 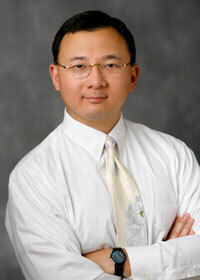 When they click the link to visit the page, that page will display instantaneously. Awesome. With the release of IE11, Bing is starting to pre-render pages in the background when it has high confidence you will click the first search result. And Google has been doing the same with “Instant Pages” since 2011. Pre-rendering aims to enhance the user experience by displaying pages extremely quickly upon click-through. As expected after the Q3 numbers, mobile advertising now accounts for 53% of Facebook’s revenue, thanks in large part to News Feed ads and auto-play videos. In total, the outfit earned $2.59 billion in revenue during Q4 of 2013. The company’s 556 million daily active users on mobile for the month of December (a 49 percent increase year-over-year) and 945 million mobile monthly active users (up 39 percent year-over-year) easily explains the bump from those accessing the social network on the go. 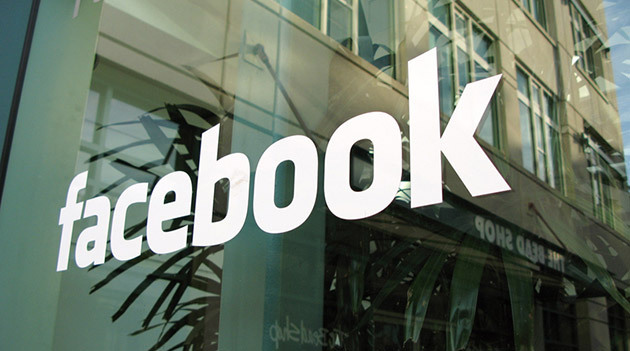 Those numbers are also sure to rise as Facebook preps its targeted ad network to outfit apps other than its own, a rumored Flipboard competitor and the suite of standalone applications already tipped for 2014 release. Nearly a billion monthly mobile users should begin to ease concerns after the company faltered following its IPO, too. The big news from Facebook’s Q3 earnings call came from CFO David Ebersman’s comment that the social network had seen daily use “among younger teens” decline. This time around we expected an update on those usage stats, but Ebersman stated that there was “no news to report” on the subject. Nearly half of adults in Canada go online to get more information about something seen on TV. Three-quarters of those who turn to the internet after seeing a TV commercial perform simple research about the product or service advertised, but few buy something. French speakers are far more likely than English speakers to research, while English speakers are slightly more likely to purchase. With the Super Bowl XLVIII now just four days away, many of the world’s biggest brands have already released the ads they’ll run during the big game. 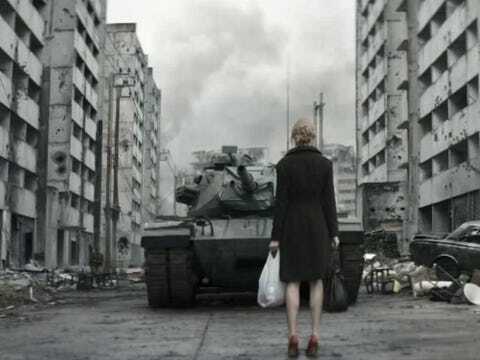 One by one, we’ve seen the reveal of exciting appearances from the likes of Scarlett Johansson (SodaStream) and Arnold Schwarzenegger (Bud Light), and incredible ads that run the gamut from emotional tearjerkers (Budweiser) to knee-slapping comedy (Audi). Given that a 30-second spot at this year’s game costs advertisers an average of $4 million, it’s no wonder companies like Axe and Kia have chosen to air their best commercials in recent memory. We’ve collected all the ads that been released for the game here, and included teaser videos and relevant background for the ads that haven’t yet made it to the Internet. Created by Anomaly. Click here to learn more about Budweiser’s campaign. Created by David&Goliath. Click here to learn more about Kia’s campaign. Fox rejected SodaStream’s original commercial, below, for directly attacking Coke and Pepsi. The ad will air during the game without the final line. till, 13% is a lot in absolute terms. That means almost one in eight ad impressions is fraudulent. ”It’s still at an unacceptable rate,” Knoll says. That said, he thinks that, like click fraud in search advertising, it will never go away because it’s a constant game of cat and mouse. What’s more, advertisers and publishers often turn a blind eye, since each can benefit from fake ad impressions–publishers because they get paid per impression fraudulent or real, and advertisers because they often want to fulfill a certain volume of impressions they want for a particular campaign. Another metric advertisers and publishers are interested in is whether an ad was viewed. That also has improved, though much less. Some 66% of ads placed placed directly with websites were “in view”–that is, at least half the ad was visible for one second or more–which was five percentage points better than six months ago. About 51% of ads placed through ad networks were viewable, while 47% of ads bought through ad exchanges were viewable. The wireless industry in the United States is in the midst of some rather significant changes. Ever since T-Mobile implemented its Jump program early last year, the carrier has turned subscriber loss into massive gains. The company’s success is rubbing off, too. 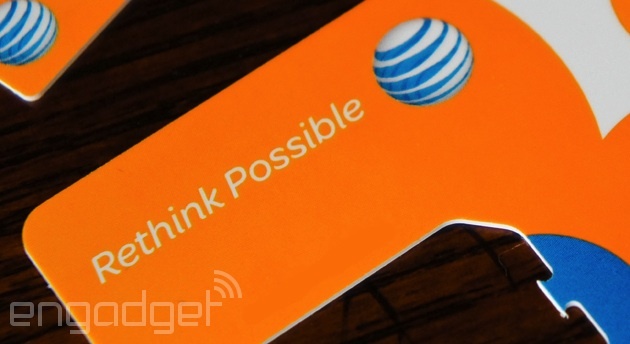 AT&T’s Next program is very similar to Jump, which lets customers pay off their phones in monthly installments and become eligible for upgrades earlier, and is just one example of a major transformation taking place throughout the industry. According to AT&T’s earnings report, the company saw more than 1 million Next sales, which accounted for 15 percent of all smartphones sold in the quarter. AT&T CFO John Stephens elaborated in today’s investor call, saying that Next accounted for 20 percent of total sales in December alone. This doesn’t sound like much right now, but the big picture shows a different story. Next is actually growing at an incredibly fast pace, and it’s unlikely that AT&T will change course anytime soon. At present, 1.5 million subscribers have signed onto Next. Again, this is a small number compared to the company’s total customer base (there are now 110 million subscribers, with nearly 73 million of t! hose being postpaid), but what’s interesting is how quickly that number has grown. According to the numbers, 1 million people signed onto Next just in the past quarter; this means that only 500,000 subscribers — one-third of its current total — were activated in the three months following its July launch. Display revenue ex-TAC [traffic acquisition costs] was $491 million for the fourth quarter of 2013, a 6 percent decrease compared to $520 million for the fourth quarter of 2012. Display revenue ex-TAC was $1,737 million for the full year of 2013, a 9 percent decrease compared to $1,899 million for the prior year. 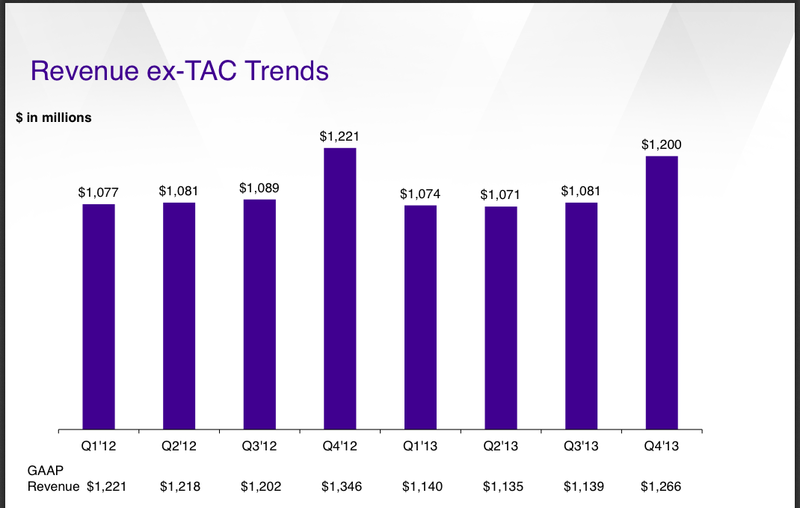 Search revenue ex-TAC was $461 million for the fourth quarter of 2013, an 8 percent increase compared to $427 million for the fourth quarter of 2012. Search revenue ex-TAC was $1,699 million for the full year of 2013, a 6 percent increase compared to $1,611 million for the prior year.